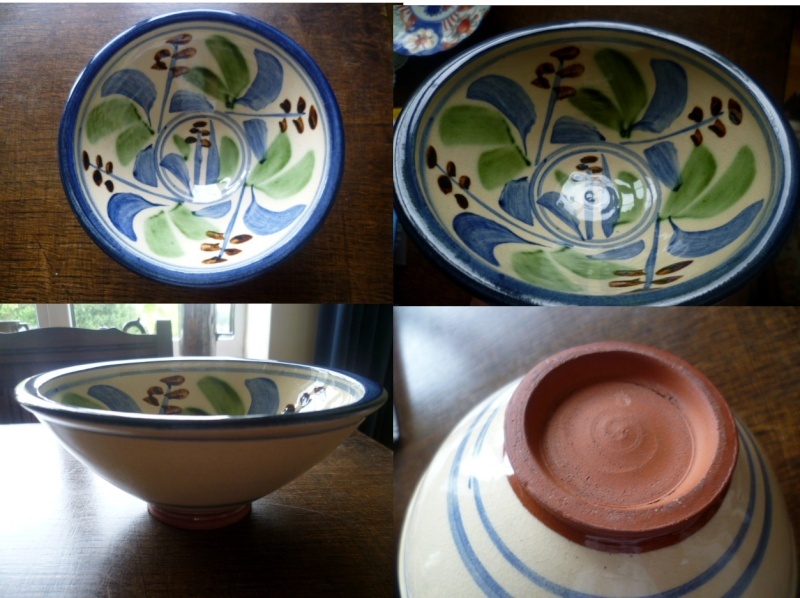 Unmarked bowl but nicely finished - approx 16.5 cm across by 6.5 cm high with a widened out flat rim about 1cm. The way that foot is turned I wonder if it's Japanese, or at least oriental. 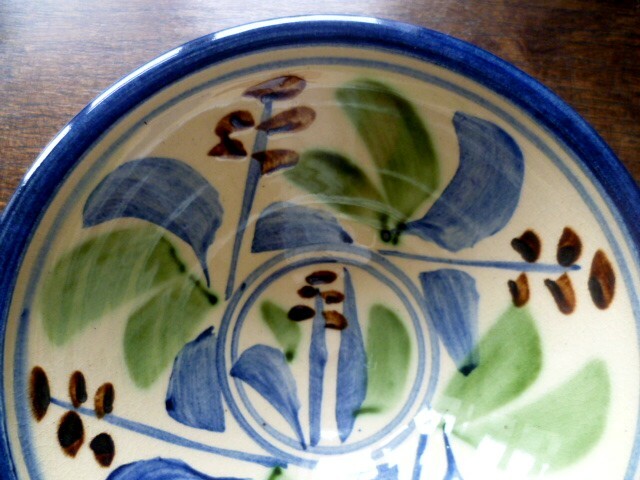 Lostwithiel Pottery, I think. I’ve just posted a similar jug with marks on that thread.